If diabetes is a concern, or you just want to know more about it, please come along to a session focusing on living with diabetes. There will be 2 sessions on the 15th November 2017, one starting at 10.30am and the other at 3.00pm. The sessions will run for approximately 90 minutes. Laura Mapstone has 22 years’ experience of living with and managing Type 2 Diabetes – personally and alongside other family members. She embarked on a healthy eating campaign, recognising she was high risk. Despite following healthy eating guidelines, she was placed on prescribed medication but felt no better, in fact her blood sugar levels rose further. With renewed interest Laura researched everything she could until she identified what worked for her – the outcome has had a positive & significant life changing impact. Laura has now reversed her condition, so she no longer meets the diagnostic criteria for Diabetes, has not needed medication for a number of years and feels very well. Laura will be talking about how to manage the condition by thinking about the food you eat, physical activity, and what causes you stress. She can explain how to monitor blood sugar and make changes accordingly, and point you to helpful resources. If you have any specific queries, let us know in advance and we will make sure that we can address your issues. The talk will be suitable for people with Type 2, people with a diagnosis of pre-diabetes, at high risk of Type 2 or who care for elderly parents with Type 2. Colleagues who have heard Laura talk on the topic found her an interesting and informative speaker and her enthusiasm for spreading the word is obvious. To book your place please contact Reena Patel on 03000 543658 specifying your preferred timeslot. Wow, this sounds exactly like a Diabetes suffer like me should attend, Shame this service is not offered further afield. I would urge any one suffering from Type 2 Diabetes and struggling to cope with it's control to attend. Well done Laura. Thanks for your comment, Jeff. Yes, this session is possible because of Laura's willingness to offer her advice on this important topic. Perhaps if we can find volunteers in other parts of the country, we can set up something similar, but it does depend on finding individuals with the right skills and knowledge. As someone who was diagnosed with Type 1 Diabetes at the tender age of 9, this is SO important to me. I have faced many struggles throughout my life in relation to Diabetes and unfortunately found myself in some very frightening positions. 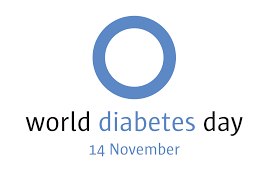 Diabetes is an every day struggle that you never get a 'break' from. I really wish more people would take the time to educate themselves on this condition. It's good to see that the Civil Service are putting things in place to raise awareness; a bit of a shame that this is directed solely at Type 2 though. Perhaps something could be offered to raise more awareness of Type 1? Thank you Aimee for sharing your story and we agree that it would be good to also have a session around Type 1 Diabetes. Our sessions aren't formal Civil Service offerings, but we are able to stage them through finding volunteers willing to give up their time free of charge to share their experience and/or knowledge. So if we can source a willing expert, we'd be happy to try and stage a similar event for Type 1 Diabetes. Please do feel free to contact me Ian.Barton@cabinetoffice.gov.uk if you'd like to discuss further. Really sad to have missed this. As a person diagnosed with Type 2 Diabetes nearly twenty years ago, I would have found this useful. Coincidentally I work in Euston Tower and was not aware of this session until today. Were there any hand-outs on the day. Is it possible to get copies.? Thank you for your comments, Bridgette, and I have replied directly with information from the diabetes event, along with an invite to join our mailing list so that you hear about future events first.